The HTML <head> element provides general information (metadata) about the document, including its title and links to its scripts and style sheets. Vue-head lets you manipulate the meta, link, script tags, and more. Visit HEAD to see what other tags you can choose to manage. 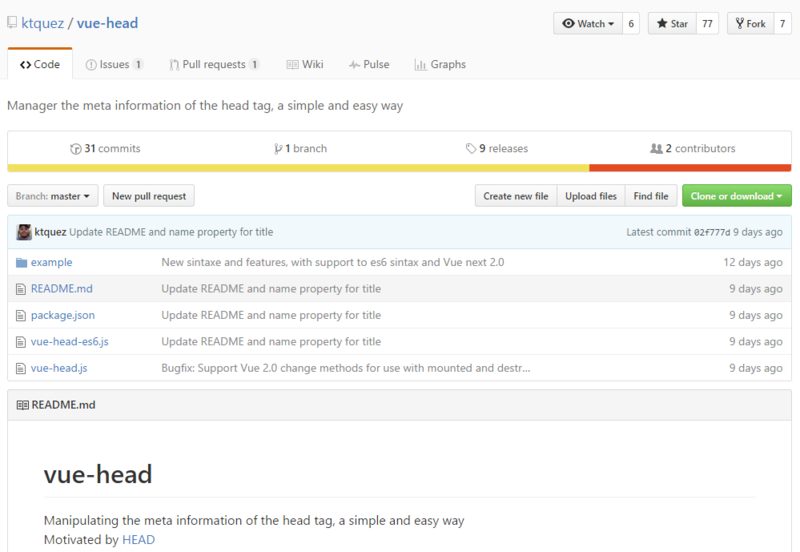 Head to the Github page for documentation and see a simple usage example here.